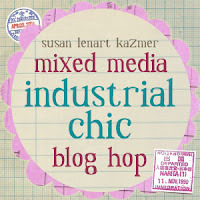 I am thrilled to be part of a blog hop celebrating the launch of Susan Lenart Kazmer’s website Industrial Chic. 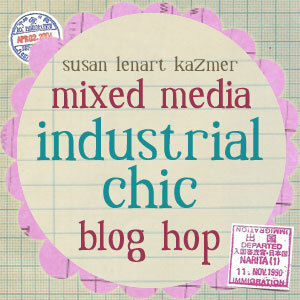 Industrial Chic is a very cool found object jewelry component collection designed by artist Susan, that makes it super easy to create not only jewelry but mixed media assemblage as well. Her collection is available exclusively at Michaels Craft Stores. 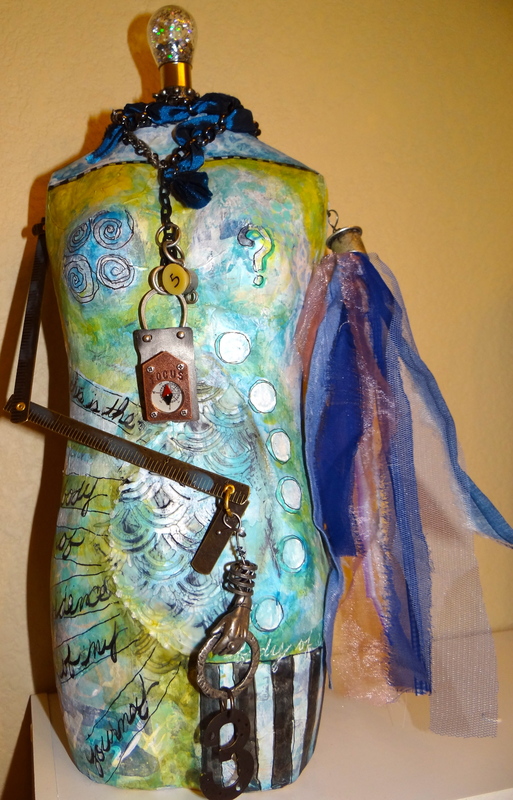 While in my varied mixed media past I dabbled with jewelry making, soldering and assemblage, my work has streamlined into mostly art journaling, drawing and painting so when asked to take part in this I knew I wanted to do something that had an art journaling bent to it. 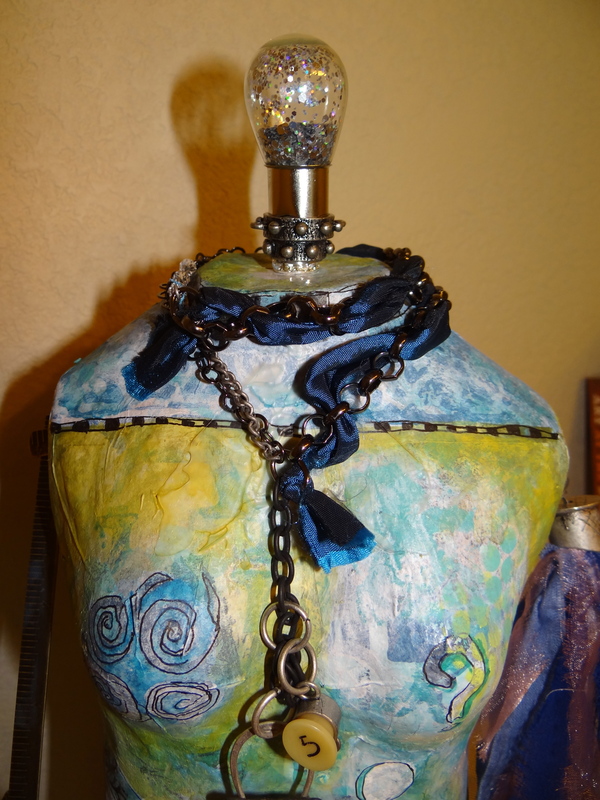 I had an extra paper mache torso lying around and decided that would be my substrate to create a 3D journal page/assemblage. 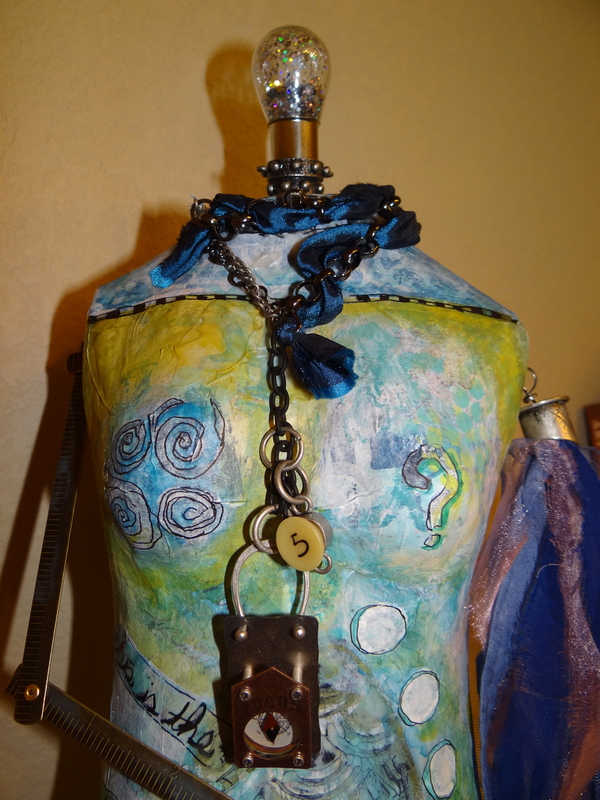 I already had some of the Industrial Chic components so I added those to what was sent to me. 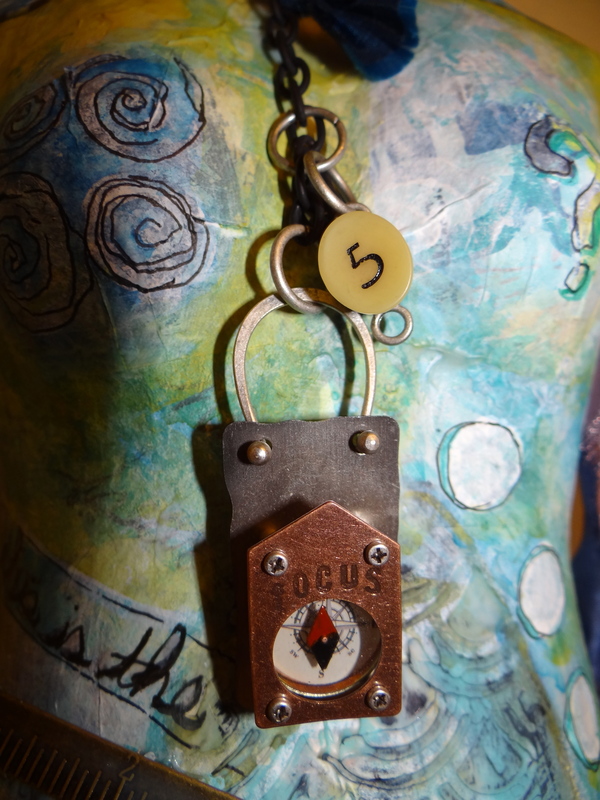 I love that there are many pieces that have numbers on them. 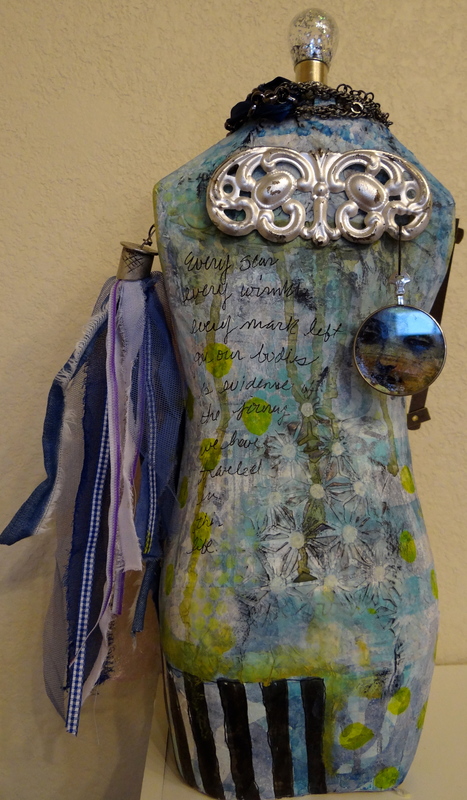 You definitely don’t have to be a jewelry artist to enjoy this line of products! How fun would it be to include them in journal bindings? 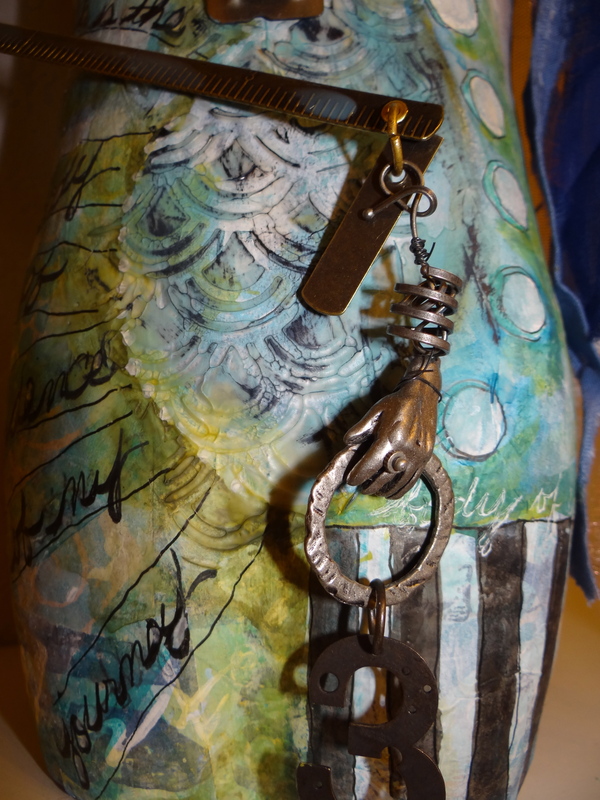 Hope you’ll take a few minutes to check out all of the amazing art that got its start from Industrial Chic! 8/17 Seth Apter – You Are Here Now! Pam your piece was wonderful! You, yet branced out from you! I love it! Big hugs- hope your day is calm and peaceful and filled with art time!